I love to be a chatterbox and pry into other people’s lives, which is sometimes not the best characteristic to put forward. Maybe this is just the journalist in me, who loves to get to the bottom of things (or maybe I’m just a weirdo), but in my humble opinion questions can sure fuel a conversation. I have heard of a bunch of topics to stay away from when you are out on a date like politics, religion, or how much money the other person makes. However, there are also some personal things that should be off limits when you are just getting to know someone. So if you want to get your date talking try to avoid these seven questions like the plague. First impressions can be tricky. Will the person actually respond truthfully or will they lie in order to not sound like a jerk? Other people don’t even think about first impressions and might not have made up their mind about you. So in the end, this question becomes kind of pointless. 2. Have you ever cheated? This one is really personal and the reality is, your date will most likely not even give a truthful response, to begin with. There is too much negative stigma about the whole concept of cheating. So getting someone to open up about this experience could be quite the challenge. 3. What was your ex like? Why did it not work out? As tempting as it is to ask about past relationships this might not be a wise idea. This question opens up a bunch of doors to the past that should remain closed, at least while you are still getting to know each other. Why would you want your date to be thinking of their ex when you should be the only one on the brain during your night out? 4. How serious is this? Definitely, wait to define the relationship. As frustrating as it is to go out on a number of dates and still not understand where this is really going, there is always a time and place for figuring things out. Today’s dating world is infuriating with its unspoken guidelines but rushing things is definitely one of those rules to at least consider sticking to. 5. What is the most embarrassing thing you have ever done? This is also kind of personal and more appropriate for a late night talk when you are both dozing off and you won’t even remember what the other person had said in the morning. You need to have a certain level of intimacy in order to get a truthful answer about things like that out of a person. 6. If you could change one thing about yourself what would it be? What are your biggest regrets? You don’t want to have your date thinking about their insecurities. First of all, I don’t like to share my insecurities with anyone because there is absolutely no need to pay extra attention to things that might not even be that visible, to begin with. Regrets are also uncharted territory and are not really light conversation starters. 7. Have you ever done something illegal? As tempting as it is to know whether the person who is sitting opposite you on your dinner date is actually a mafia boss, this question is definitely a no go for the first couple of dates. Don’t be a snooper; with questions like that, it might seem you have something of your own that you are hiding. There are a ton of topics out there in order to fuel some interesting conversations between you and your date. However, there are some topics that should stay off-limits, at least until you have developed some trust for each other. 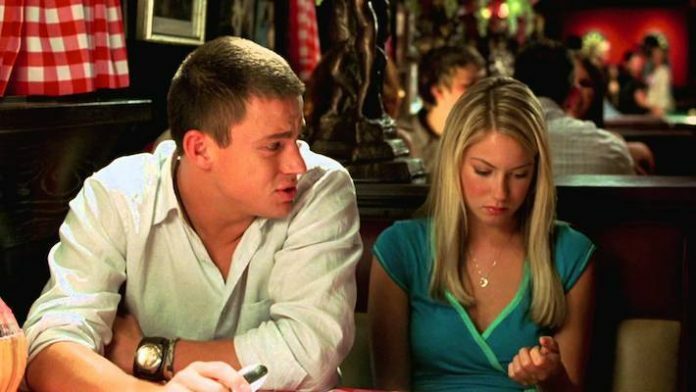 Feature Image via screengrab from She’s The Man.